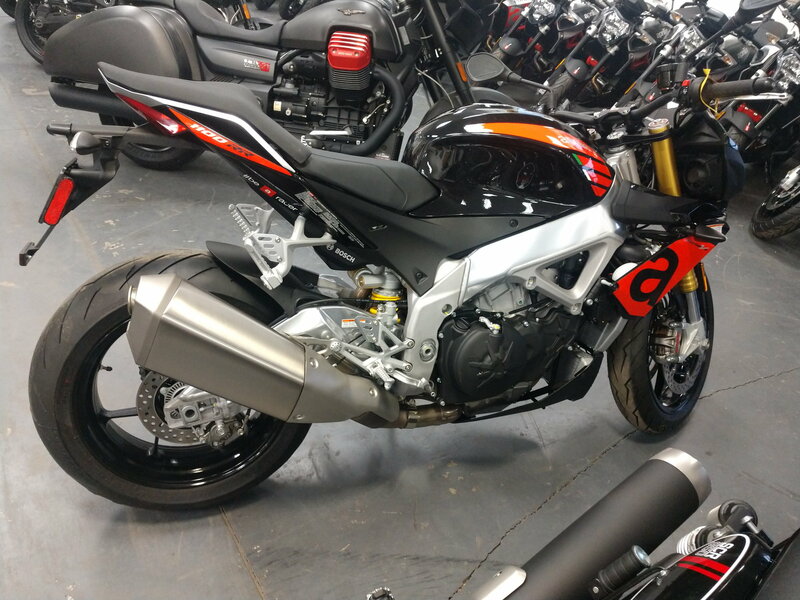 Well, As I posted a while ago I was looking into a new bike and input from others on here... 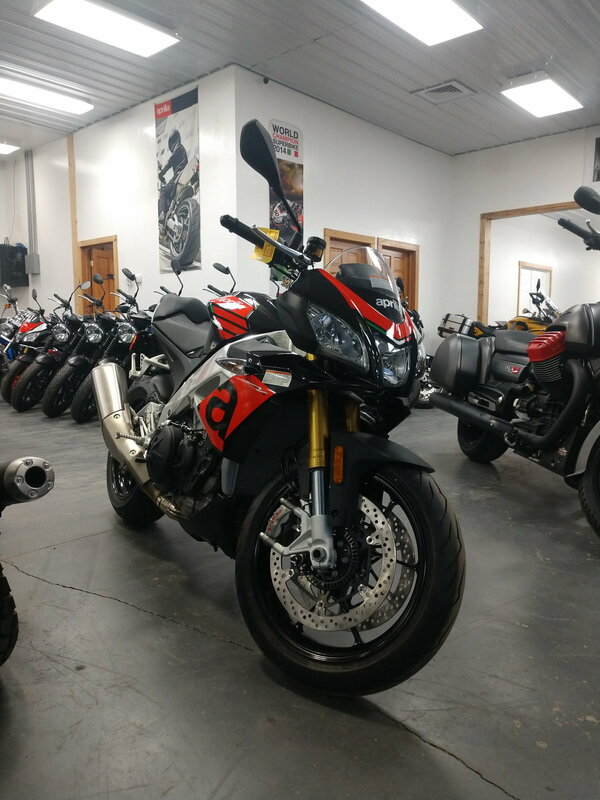 I made a decision, a new 2018 Aprilia Tuono V4 RR in red/black w/175 hp stock Darn things are hard to find around the Western New York area and had to get it from Xtreme Power Sports in MD and hold it for a month or until winter is mostly over (I'm in Buffalo, NY after all). At least its a V4 and not an annoying inline 4... Can't wait to get it! Not 100% sure what I will do my my '02 Superhawk yet - if I do part with it I will certainly miss her as we've had a lot of fun times together! Thanks, I thought it was the most awesome looking compared to the others I was looking at I have always like the Aprilias and it only took me 27 years of riding to afford one - call it my nearly midlife crisis cure! Thanks ! Now I just need spring to come so I can pick it up from the dealer - go away snow!!! Congrats and ride it safe! Just keep on top of valve checks. You'll find it'll eat a little oil, but that will be minimized after it is broken in. Had my 2017 for a year now. 6,000 miles on it so far. Still have the superhawk (not worth getting rid of as long as I have the space to keep it). AF1 is a good resource for parts. apriliaforum.com is a must for parts and questions. I like your RR in black. I couldn't pass up the deal I got on my silver 2017 RR. 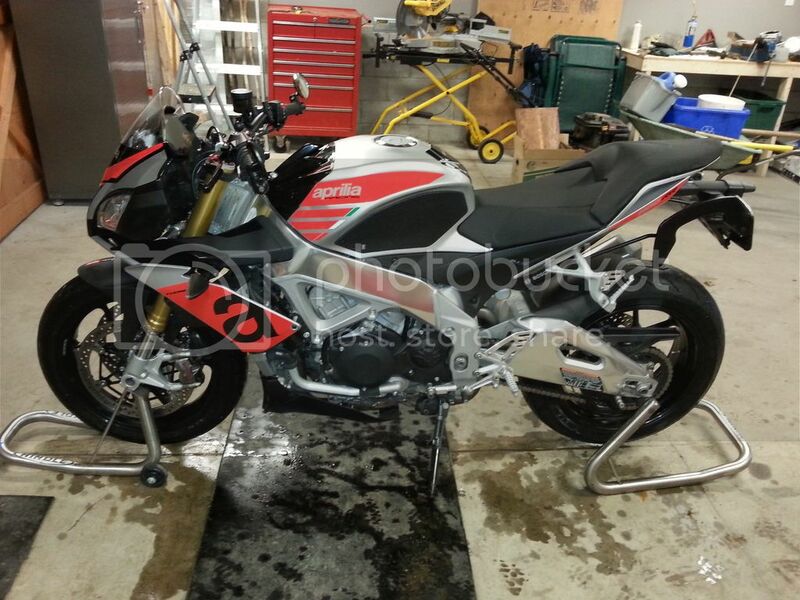 I have had 3 Aprilia bikes and AF1 are definitely the go to for spares, mods and advice. They eat and breath Aprilia. Last edited by kenmoore; 02-24-2019 at 12:01 PM. Good to know about the oil usage! 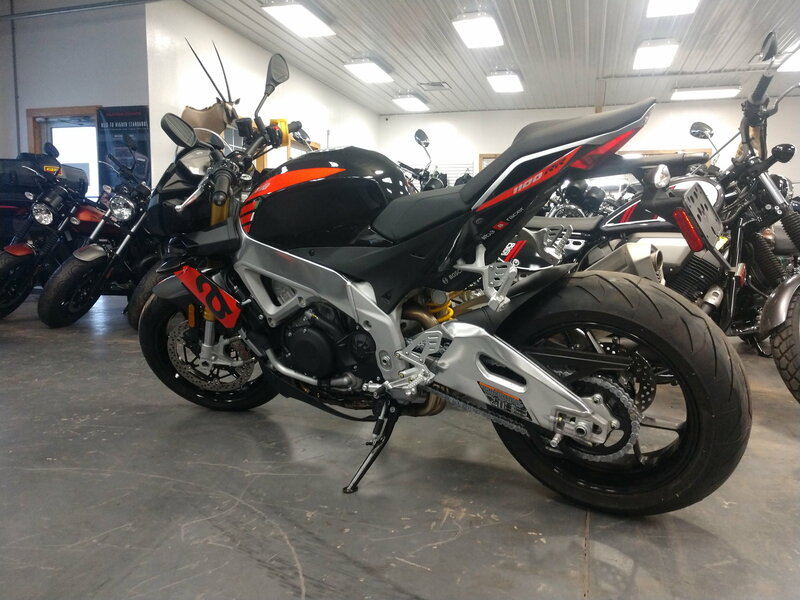 My original plan was to get the gray/black but the vin# on the one they had ended in 666 so I thought better of it and went with the black/red combo which looks great as well. I'm going to go the cheap route. Lonelec cables, and Guzzidiag. My buddy bought the race ecu for his RSV4, but you can just flash the race map to the stock ecu for minimal cost. Pretty sure he spent $700+ on the ecu... I'll do it just the same for $50 bucks and a couple hours of my time. Gabro flashed ecu is supposed to be real nice as well. I'm nearly at 6,000 miles. Going to be checking my valves when the weather improves. Im on a 16 Tuono 1100 with a Gabro ECU, Auto blip etc. On the Voyager forum " darkside" would mean you're running a car tire on the back!